Buffalo State's facilities are an enormous asset. The Facilities Planning Ofice provides planning, design, and construction administration services for new construction, renovations, and large infrastructure projects. Facilities Planning also oversees space management in all Buffalo State facilities. Business intelligence is an umbrella term describing the technology, infrastructure, tools, and best practices that allow an organization to access and analyze its information. 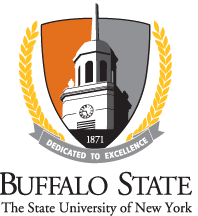 Buffalo State is a member of SUNY’s Business Intelligence Initiative. The Internal Control Program is designed to assure that SUNY and its campuses meet their mission, promote performance leading to effective accomplishment of objectives and goals, safeguard assets, check the accuracy and reliability of financial and other key data, promote organizational efficiency and economy, and encourage adherence to applicable laws, regulations, and prescribed managerial policies and practices. Buffalo State is committed to a continuing program of internal controls review, assessment, communication and training. There are several individuals commissioned as Notaries Public who are employed at Buffalo State. Freedom of Information Law (FOIL) requires that entities within the SUNY system make certain records available to the public. Buffalo State has a designated records access officer to fields requests for copies of records held by the college. Retention and disposition of official records of the SUNY campuses are governed by the New York State Arts and Cultural Affairs Law. Official records must be retained and disposed of in compliance with approved records schedules. Buffalo State supports environmentally sustainable practices in its mission and core values, and through its daily operations. Through education and research, community service, responsible campus practices and individual contributions, the Buffalo State community is committed to raising awareness of environmental issues and conserving resources for future generations. Buffalo State's Trademark Licensing Program protects, and promotes the proper use of, this institution's name, marks and logos. Buffalo State provides opportunities for such modes of transportation as walking, biking, riding local or municipal bus and rail, carpooling and using campus shuttle services. Our institution also maintains 32 parking lots in the campus area to support the parking needs of our students, faculty, staff and visitors.